The Communication Commons, located on the first floor of the Communications Building at CMU 118. The Department of Communication has a few new spaces for students to work and hold group meetings. One is in the Communication Commons in Room 118 where there are two areas that students have computer access with a large monitor for group work. For reservations contact Erika Samson: samsonej@uw.edu. There is also a larger room on the third floor, Room 325 that can hold 10 students and has a large table and display screen. Students are welcome to reserve that anytime and can make the reservation online: http://www.com.washington.edu/facultystaff/technology/rooms/. 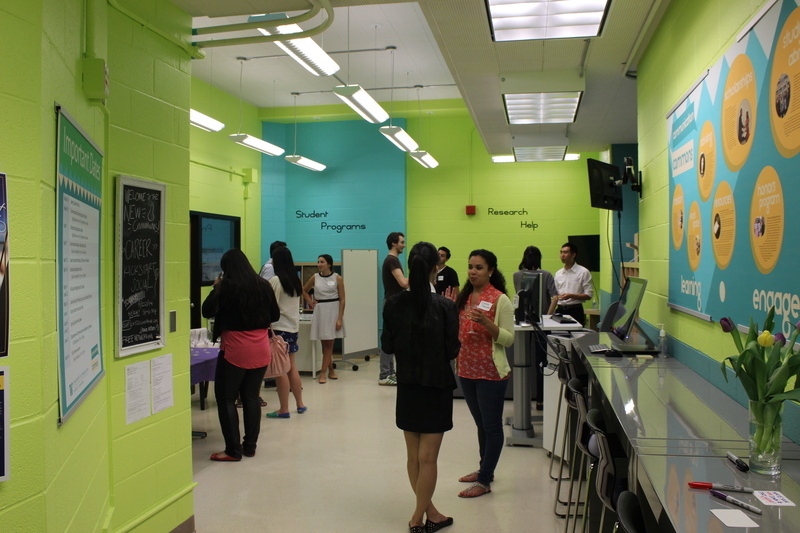 Students are also welcome to use any of the classrooms or labs when they are not reserved for other events. The Department received a lot of new equipment for checkout from the UW techfee program. New equipment includes Canon Mark III, Canon Rebels, Sony Video cameras, lighting kits, microphones, and Zoom digital recorders. Reservations can be made online: https://com.uw.edu/reserve/. To get access to the best DSLR cameras in the Communication Department, come to a short workshop (less than 20 minutes) with staff member Evan Swope. The workshop covers the basic functions of the camera and best practices to help keep our cameras in tip-top shape and avoid potentially expensive damage. Email swopee@uw.edu to schedule an appointment. On November 19th, department staff member Evan Swope will be teaching a workshop on Adobe Premiere, on the basics of video and sound editing. Come join us in Media Lab 1 (CMU 302) at 3:30 p.m. and edit a sample project together with Evan. All skill levels are welcome, and feel free to bring any specific questions you have about videos and editing. RSVP to ensure your spot on the Communication Commons facebook page: facebook.com/commcommons. Email swopee@uw.edu for any questions.